No one can forget the hot summer days and even hotter summer nights filled with the promise of unlimited possibilities. Looking for that last epic adventure before starting your real life. 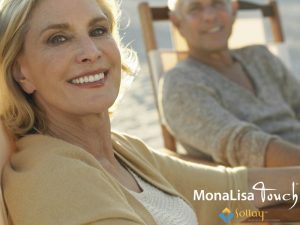 Mona Lisa Touch, a revolutionary medical therapeutic laser technology, offers you the opportunity to experience a part of life that you may have thought passed you by. Mona Lisa Touch by rejuvenating vaginal mucosa and stimulating the reestablishment of vaginal health provides you the opportunity to reestablish relationships and to experience the confidence necessary to pursue a part of your life that you may have thought passed you by. Mona Lisa Touch cannot restore the endless summers of youth but it can provide you with the confidence and comfort to reestablish your feminine health. Pursue relationships and possibilities that you may have thought long passed you by. Call today for a free consultation so our board certified staff at Sollay Laser Center of Excellence can evaluate your unique medical condition and make recommendations for treatment.